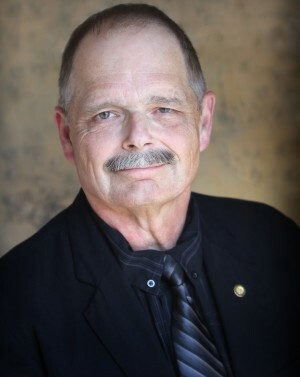 Jeffrey “Jeff” Fowler – age 65 of Polo, MO passed away Saturday morning, April 13th, 2019 at his home. Jeff was born on June 8th, 1953 the son of Donly and Ramona Jean (Roach) Fowler in Mason, West Virginia. He was a 1971 graduate of Wahama High School in Mason. On July 19th, 1985 Jeff was united in marriage to Barbara Silverman in Ft. McClellan, Alabama. Jeff served the United States Army and retired as a Captain. He obtained a Bachelor of Science with an emphasis in Criminal Justice from Marshall University in Huntington, West Virginia in 1984, a Master’s degree emphasis Military History from Norwich University in Vermont and a Doctor of Philosophy in Business Administration from North Central University in Michigan in 2015. Jeff was a professor for the American Public University System, American Military University and was passionate about teaching, learning and his students. Before moving to Polo in 1995 Jeff and Barbara lived in Weston, MO, Zweibrucken, Germany and were stationed at West Point. He was a member of the National Rifle Association, the National Sheriff’s Association, The American College of Forensic Examiners, and the Polo VFW Post #557. Jeff loved the Army, his family and his Lord, Jesus Christ. He also enjoyed reading, animals, nature and horses. Jeff had mastered how to be physically fit, while loving to eat at the same time. He was a published writer of books and many articles on criminal justice and military history. Jeff will be dearly missed by his family and friends. Mr. Fowler was preceded in death by his parents, sister Sandra Fowler and brother, Stephen Fowler. Those left to mourn his passing and celebrate his life include: wife, Barbara of the home; sister-in-law Sharon Gardner of Los Angeles, CA; daughter, Jennifer (Jonathan) Prince of Austin, TX; 3 grandchildren: Julian Zayne, Scarlett Jo and Violett Jane; sister, Janice (Earl) Saunders of New Lexington, OH; sister, Kathryn (Lew) King of Hartford, WV; niece, Ramona King of Hartford, WV; niece, Nancy King-Badran of Hartford, WV; great-nephew, Adam Badran of Hartford, WV.